The Irish Banshee Screaming in a Storm. The Irish Banshee, also known as the Angel of Death, was known in celtic folklore as either an ancestral spirit or faery that appeared just before the death of a family member. Of the many mythical creatures in Ireland the Banshee is a particularly eerie one. After appearing she would wail, or keen as the sound is better known in Ireland, to bring the upcoming death to the attention of the family. The Irish Banshee was known to take various forms. Sometimes she would appear as a young and alluringly beautiful woman, whereas other times she would appear as a bedraggled and hauntingly disfigured old hag. She has also been known to appear as a well-dressed, matronly woman or a washerwoman, also referred to as Bean-Nighe. Those who believed the Banshee to be a faery that dwelt in one of the various faery mounds of Ireland called her Bean-Sidhe. In all of these forms she is known to have either grey or white hair, which was very long. She was also known for combing her hair with a silver comb, although this element of the story has been attributed to confusion between the legend of the Banshee and the legend of the mermaid. Banshees were also believed to appear in the form of animals that were associated with witchcraft in Ireland, such as weasels, stoats and crows. Some also knew the Banshee as the Bean-Chaointe, believing her keening to be capable of shattering glass. It is believed that there were many Banshees, regardless of their accepted origin, and that one main Banshee, known as the Ua Briain, ruled them. She was named Aibell. They were known to appear at the death of only certain Irish families, such as the O’Neils, the O’Briens, the O’Connors, the O’Gradys and the Kavanaghs. This was believed to be due to the fact that these were native Irish families rather than settlers in Ireland. 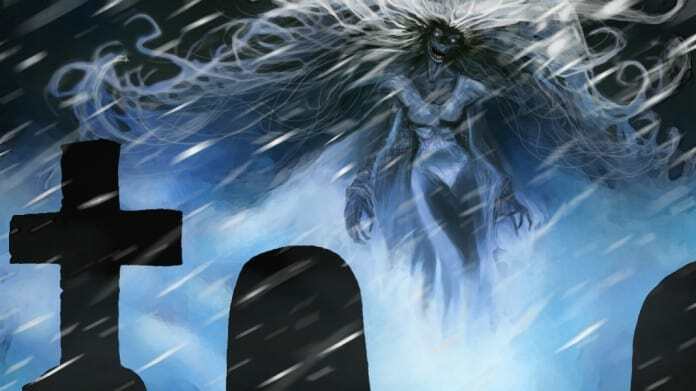 The Banshee can be found in the mythology of many other cultures, where she was given a much more terrifying persona as the bringer of death. However, in Ireland the Banshee is seen as only warning people of death, rather actually causing death to happen. She is viewed in Ireland as either an omen of death or as a messenger sent from the world of the dead. Her role was therefore to protect the families that she was loyal to by helping them to prepare for the death of a loved one. The legend of the Banshee as the Angel of Death in Ireland is believed to have come from a particular tradition of funerals in Ireland. This tradition held that at a funeral women would sing an Irish lament and these women were known as keeners. The very best keeners in society would be in high demand at a funeral as they were seen to represent the popularity of the person who had died. Much to the distaste of the church these women were often paid for their services in alcohol, which has led to their reputation as drunkards. It is easy to imagine how wretched their lamenting and keening could be once provided with alcohol. This tradition led to the belief that for particular families a faery, which became known as the Banshee, sang this lament. The lament of the Banshee is slightly different in that it is more of a cry or scream, which caries the eeriness of the forewarning with it. This developed into her keening being a forewarning of death, as she was believed to have the power of foresight. Thus, the legend of the Angel of Death was born. Some believe that this was associated with the screech of an owl at nighttime, as they were attracted to the large agricultural areas of Ireland. Her role as the harbinger of death teaches us the importance of preparing for the death of a loved one and accepting it when it comes as a natural part of the cycle of life. It also teaches us to trust the world that our loved ones are taken to when they depart from our world. As such, it can be seen as coping mechanism during times of grief over the death of a loved family member.